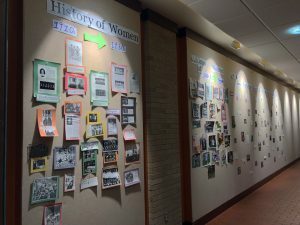 This past week, WARA celebrated the 100th anniversary of the addition of women’s sports teams to The College of Wooster, with events led by participating female athletes at the College. Events such as all-campus yoga, a women in sports-themed panel and readings held at local elementary schools filled the week to celebrate National Women in Sports Day on Wednesday, Feb. 6. The group fundraises throughout the school year to sponsor teams on campus to improve equipment or expenses for spring break trips. Events that raise money include social gatherings with food like ice cream and pizza parties held occasionally in Lowry. These events encourage people of all genders to come and support WARA. WARA has also previously raised money through concessions in the Scot Center. This Saturday, WARA wraps up National Girls and Women in Sports Week by encouraging students to support our very own College of Wooster Fighting Scots women’s basketball team as they play the Wittenberg University Tigers on Saturday, Feb. 9.